Nuclear Moratorium: 'I' for India Comes After 'G' for Germany? A top Indian scientist and government advisor, backed by more than 50 prominent figures, has called for a moratorium on all future nuclear projects following the nuclear crisis in tsunami-hit Japan. Dr P Balaram's call marks the first direct appeal from within government circles for a temporary stop to nuclear power plans and production and comes a day after prime minister Manmohan Singh sought more transparency, accountability and transparency from the Indian nuclear establishment. Dr Balaram’s demand for a moratorium -- stopping nuclear power production for the time being -- is likely to pressure the Indian government because of the strategic positions he holds.. Though most countries have announced safety reviews of their nuclear plants following the Fukushima radiation leak, Germany is the only country in the world to opt for a temporary moratorium. In mid-March, German chancellor Angela Merkel shut down the country's seven oldest nuclear stations for at least three months against a backdrop of continued political pressure. Pending the safety review, some of the country's 17 nuclear plants may be decommissioned earlier than previously planned. Merkel has also called for her country to speed up its move towards renewable energy to help fill any gap in electricity supply. Merkel faces a tough battle ahead because members of the Green party accuse her of not going far enough and conservatives in her own party accuse her of having gone too far. USA, France, Russia and Japan have been locked in fierce competition to sell new nuclear reactors to India. India is one of the world's biggest markets for nuclear technology, with plans to reach an atomic power capacity of 63,000 megawatts by 2032, from the current level of 4,560 megawatts. Fuel-hungry India has pushed ahead with its nuclear energy plans since 2008 when the then-US president George W Bush signed into law a nuclear deal that ended a three-decade ban on US nuclear trade with India. 1. "We strongly believe that India must radically review its nuclear power policy." 2. "Pending the review, there should be a moratorium on all further nuclear activity, and revocation of recent clearances for nuclear projects." 3. The Department of Atomic Energy (DAE) has "cavalierly minimised (the possibility of an accident)... and declared that Indian reactors cannot undergo serious accidents." 4. 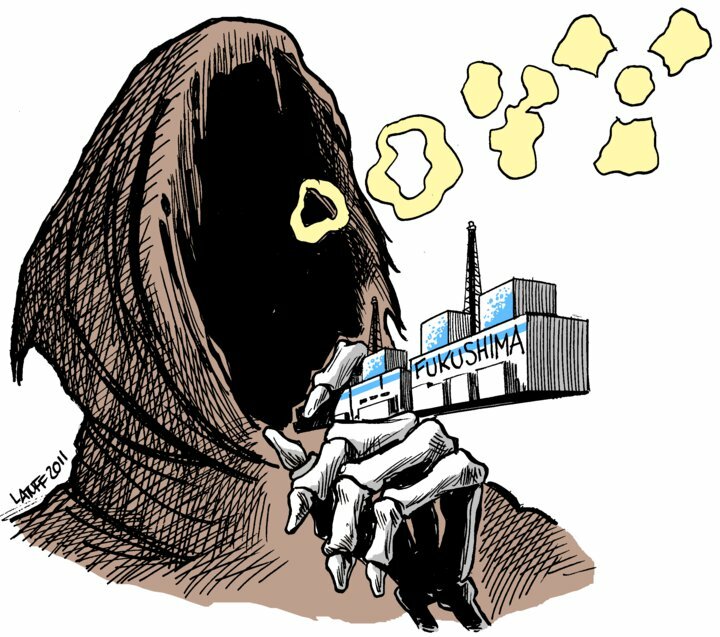 The Japanese crisis shows "that even in an industrially advanced country, nuclear reactors were vulnerable to catastrophes, in spite of precautions and safety measures." 5. The letter urges the Indian government to conduct an independent and transparent safety audit of its nuclear facilities. "In the light of what has happened in Japan.... we strongly believe that India must radically review its nuclear power policy for appropriateness, safety, costs, and public acceptance, and undertake an independent, transparent safety audit of all its nuclear facilities, which involves non-DAE experts and civil society organisations. Pending the review, there should be a moratorium on all further nuclear activity, and revocation of recent clearances for nuclear projects," said Dr Balaram. He said he agreed to be a co-signatory to a key petition seeking a nuclear moratorium because many of India's proposed nuclear plants were likely to come up in populated and ecologically sensitive areas. The Japanese crisis has fuelled opposition in India to the construction of what would be one of the world's largest nuclear power plants in a seismically-sensitive region of Maharashtra state, with six reactors providing 9,600 megawatts of combined power. French company Areva has signed a 9.3-billion-dollar framework deal to supply the first two of Jaitapur's third-generation pressurised water reactors, with the nuclear plant scheduled to begin producing power in 2018. Nuclear moratorium opens Door to Renewables? Germany's decision to shut down some of its nuclear power stations following problems with Japanese plants after the recent earthquake could yet spur long-term growth in renewable energy. But, for now, it will mainly be coal and gas that will fill the gap, increasing carbon emissions worldwide. Are India and Germany beginning to show the way for other democracies around the world? The nuclear moratorium issue appears to be fast becoming the clarion call of our times.